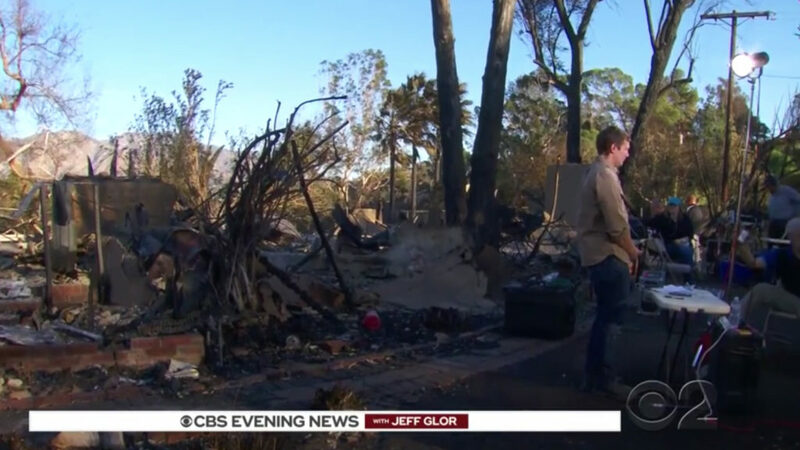 The three major networks all sent their lead evening news anchors to California to cover the raging wildfires engulfing the region. 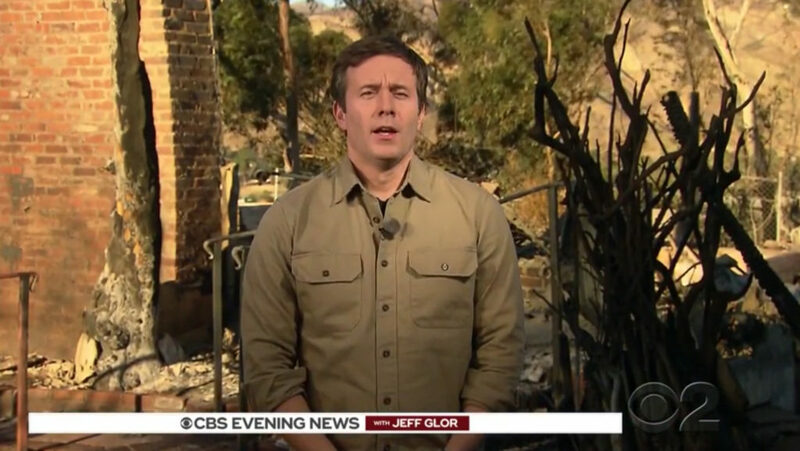 “CBS Evening News” sent newly installed anchor Jeff Glor to Shadow Hills, California, for his first field story as named anchor of the broadcast. The show opted to fill the normally red box in its new graphics package with a dark image of flames during its coverage of the story. The typeface in this box used the show’s new Ridley Grotesk family, but had the textured effect the network is so found of using applied to it. Glor, who looked ready to tackle a safari, stood in front of burned out wreckage for the broadcast. 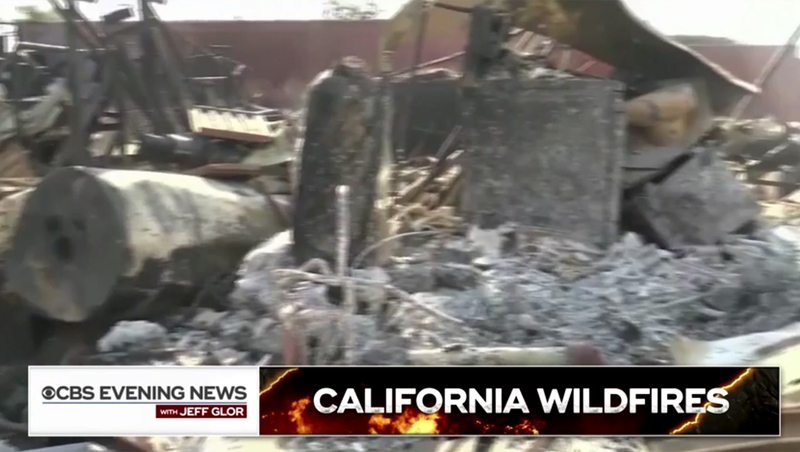 “Evening News” producers used the show’s normal open before cutting to a slowly panning shot of Glor’s live shot location. 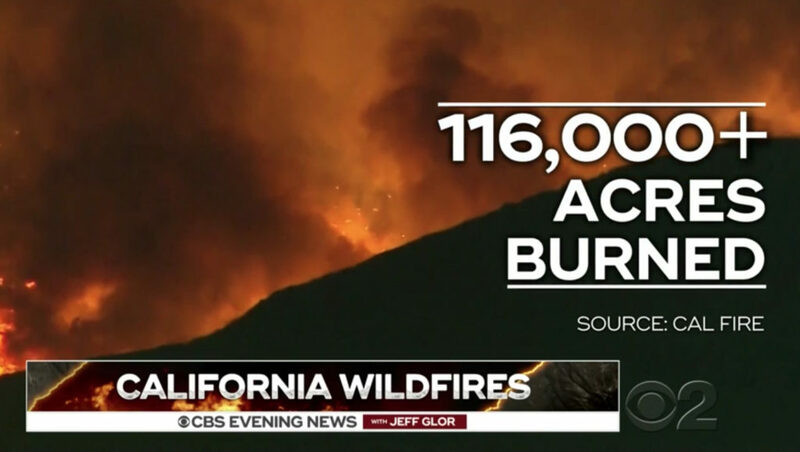 Before launching into in-depth coverage, Glor offered a brief overview of the story with fact points appearing on screen, also in Ridley Grotesk, set over footage of the fires.